Why Nutrient Density is starting to matter? I'm paraphrasing this initial part a bit because next week we can think about this approach in terms of both Bulking Up or Leaning Up in what may be the better and more thought out way to go. Dr. Joel Fuhrman has done some great work developing and testing his dietary approach based on high nutrient density food. I've sent quite a few clients to read about his research at Optimisingnutrition.com. You can check out more in his thorough article here. So is it Calories vs Nutrients or both? It’s generally accepted that people will lose weight if they consume less calories, however the real challenge is managing one's appetite in the long term. 3) Building in some Intermittent Fasting. Most people find that appetite and metabolism win out over willpower or conscious calorie counting in the long run. Either we end up binging on the foods we were craving or our metabolism slows down to cope with the reduced energy intake. 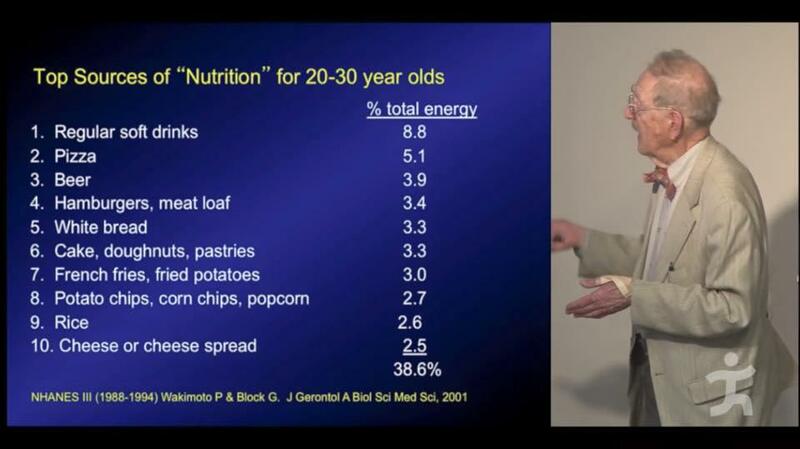 Check out this slide below from a presentation by Bruce Ames demonstrating that there might be some room for improvement in the nutrient density of most people’s diets. Nearly 40% of the general publics calories are coming from nutrient poor choices. 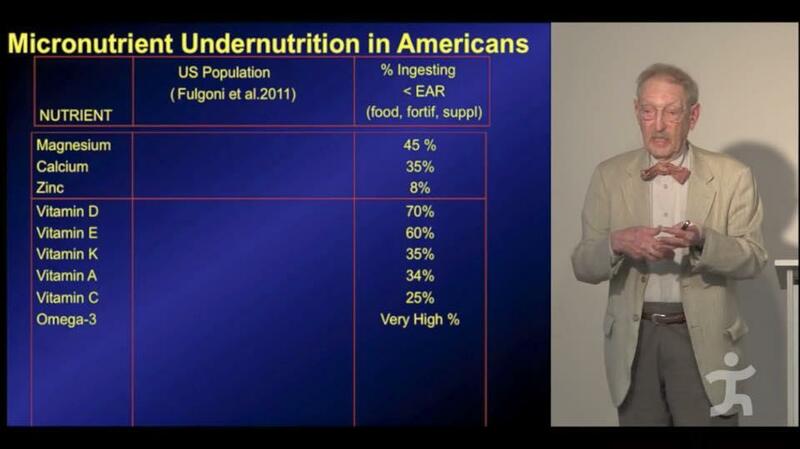 And this slide shows how many people are lacking in a range of key micro-nutrients. Very few people are getting adequate omega-3, Vit C and Vit A. But how do we know if we are getting the required nutrients in the right proportions? Which foods will help us maximize our chance of achieving nutrient density while minimizing caloric load? Marty Kimball goes on to talk about "Satiety" - a controversial and complex topic. This brings in many factors including, palatability, mouth feel, smell, protein, fibre, mood, insulin resistance etc etc etc. Obtaining adequate nutrients may not be the only thing that influences appetite, but it's sure to be a significant piece of the complex puzzle. As you will see in the link below, nutrient dense foods are typically also unprocessed whole foods that you would be less likely to binge on than a packet of chips, pizza and a good ol soda pop. But, how do you know which foods will give you the best chance of maximizing your nutrition? There is a couple meal replacement shakes like; Soylent, Optifast, and Ambronite that theoretically meet the DRI values with minimum calories. However you would think the safest approach is probably going to focus on nutrient dense unprocessed foods that contain all the essential nutrients. What I like - he goes on to do is eliminate those nutrients that are easy to get. He calls them the "Over Acheivers" and chooses to prioritize on vitamin D, vitamin E, magnesium, calcium, vitamin A and vitamin C which the vast majority struggle to get enough of. There is a summary list of the top 1000 foods prioritized by his moderated nutrient density system that he details in the article. In addition to nutrient density score (note: 0 is average and a score of 2 means that a food is two standard deviations above the mean). So check out the the other categories as well (Legumes and Grains) and it wouldn't hurt you eating more of these types of food in a balanced diet.